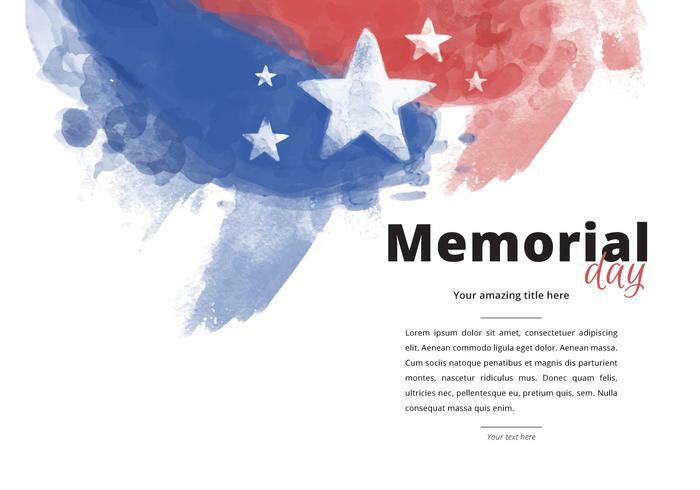 Patriotic Memorial Day Watercolor PSD - Free Photoshop Brushes at Brusheezy! Watercolor illustration of Memorial day, celebrated last Monday in May. Memorial Day is a federal holiday in the United States for remembering the people who died while serving in the country's armed forces.